Castlemaine parkrun is a FREE weekly 5km event for runners of all standards, which takes place every Saturday at 8:00am in Castlemaine Botanical Gardens, Downes Rd, Castlemaie, 3450. It is not a race against other runners, but a 5k timed run and it can really be whatever you want it to be, whether that's for fun or as part of a training plan. Every week we grab a post parkrun coffee at the Cafe re-Public (26 Templeton Street) - please come and join us! Maybe swap stories about your run that day, chat to other runners over a cup of tea or coffee and just be an important part of this new running community. Run the Maine: Run the Maine Inc. is the organising body for the fun run event Run the Maine. 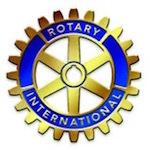 This annual fun run is 5km or 10km event with money raised from entry fees donated to Castlemaine Health and also a 2km Run for Hannah event with funds going to Cystic Fibrosis Victoria. The fun run has courses that incorporate the Botanical Gardens of Castlemaine and surrounding bushland. Local businesses support the event with sponsorship. Run the Maine Inc. has always encouraged fitness and good health for all. We like to promote the reflection on valuing our health and utilising our good health to give back to the community, to the Hospital that supports us when we need. Run the Maine Inc. is proud to be involved in Parkrun Castlemaine to further promote and encourage all ages and abilities to connect with others in the community and make fitness fun. Run the Maine: Sunday 11th October 2015. Motivated Movements: Motivated Movements promotes a positive, inclusive, and encouraging approach to fitness. The sessions are about working to your own personal intensity and having fun along the way. Motivated Movements sessions are for everyone, no matter your age, fitness level or exercise goals. Every fitness session is held in an encouraging and positive environment. Everybody is encouraged to go their own pace and to have fun along the way. Motivated Movements caters to a range of fitness levels: clients who exercise regularly and clients who are just getting back into light exercise, everybody is welcome and encouraged to try their best. The sessions are held in the beautiful outdoors of Castlemaine. 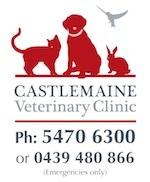 Castlemaine Veterinary Clinic: Castlemaine Veterinary Clinic is a well-equipped modern veterinary practice. Our veterinary surgeons are assisted by knowledgeable and friendly staff helping us to set the standards for excellence in veterinary care. Our aim is to provide the best possible veterinary care and after care, utilising state of the art equipment and up to date medical and surgical knowledge and techniques. Similarly, our aim is to provide a place where all pet owners can feel confident in the care their animals will receive. We are closely affiliated with Melbourne based specialist centres so that we can offer access to leading vets in all areas of veterinary medicine and surgery and behaviour. We offer a full range of veterinary diagnostics, care and preventative health measures. This includes in-house diagnostic imaging featuring digital radiology, in-house blood and lab work, full eye exams, a well-equipped surgical theatre, and 24 hour emergency consultations and hospitalisation. Green Goes the Grocer: Your One Stop Organic Shop. Suppliers of certified organic and biodynamic fruit and vegetables. A huge range of dairy, meat, bulk dry goods and heaps more! OPEN MONDAY - SATURDAY. Free Delivery service to Castlemaine and Bendigo. email us at info@greengoesthegrocer.com.au Phone: 03 5470 5511. 29a Templeton St, Castlemaine 3450.